How exciting! I returned from a trip to Kansas City, MO, where I did an interview for a local TV station (I will post more when I know its air date) and just as I walked in the back door of my home, there was a knock on my front door. I answered the door and it was FED EX! IT was the arrival of my first box of 20 books! Now, I wrote the book on the computer, but being blind and having a chance at last to open the box and touch a tangible product, the book I wrote, was amazing! I was so totally thrilled! I called my friends that live close and we all met next door where I enjoyed some yummy fried crappie and dinner rolls, and got to sell my first book! I sold three, a ll of which I got to sign, and even better yet, these folks were eager to have a copy. I can’t explain the excitement, and what made it even better was that people wanted to read the book! 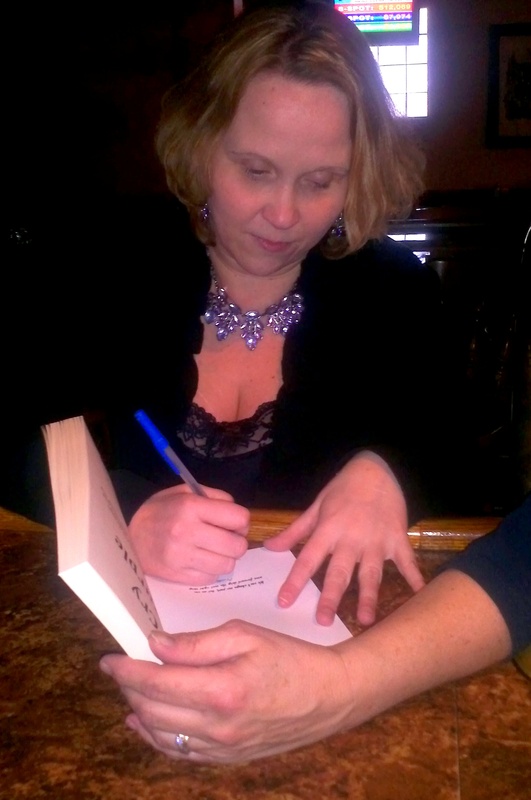 So, I thought we would take photos of me signing my first book sale! Now, many books have been purchased online by others, but there was a delay in the paper back books, so they went on sale later! I am so excited. It was so wonderful to touch my completed work, even if I can’t see the pages. Okay, it is go time! The goal is 3500 sales! Now that is a lot of books. But here are the photos, as I wanted to share the joy with my followers! Thanks guys and keep spreading the word! 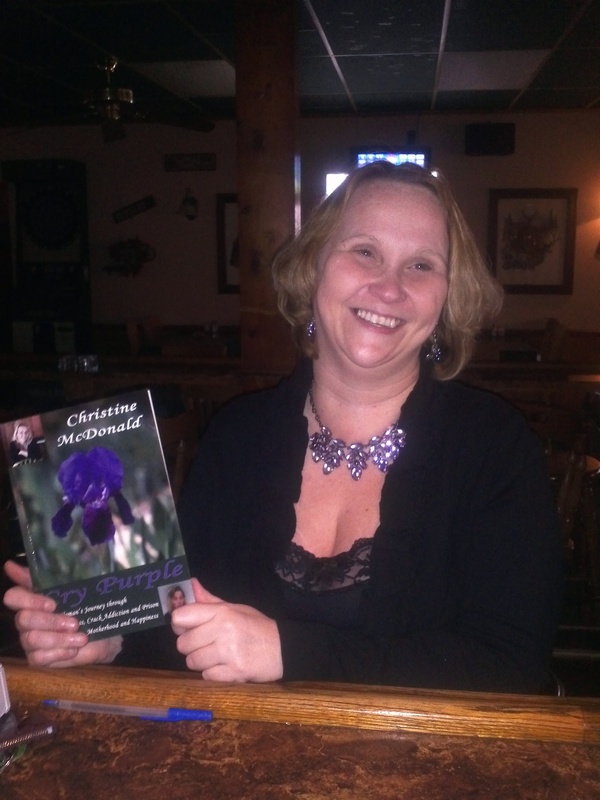 My editor and her husband are in the final stages of editing my book and have informed me that Cry Purple will be ready for purchase next Friday, January 25th! Stay tuned for links to the digital and print versions. The Book Cover Has Been Chosen! The book cover has, at last, been chosen, with the kind and caring help from my editor and her husband. I thank them for all the extra time they spent to ensure that I, as a blind person, was totally happy with the end result of the book cover. The ensured that every last detail was met to my liking and was what I had envisioned in my mind’s eye for my book project! Thanks also to Christy, my dear friend, for helping in this, so I could express what I was looking for regarding the colors and symbolic importance of the cover to the story inside the pages! Now to format the pages inside the book! 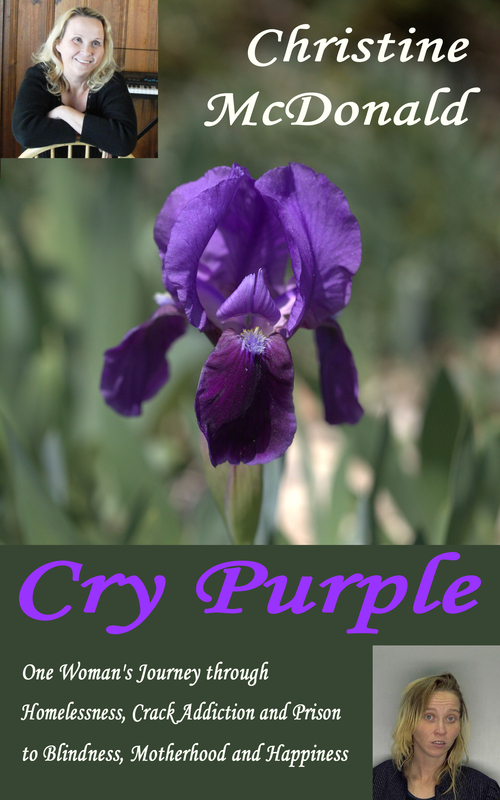 If all goes well, on January 20th everyone can purchase their own copy of my book, Cry Purple. Visit the web site to like our face book page, if you have not done so already!